to share their love of flying and aviation with you! Our club members include pilots (private, commercial, student, ATP), controllers, A&P mechanics, flight attendants and other flying and aviation enthusiasts from Los Angeles, San Diego, Orange County, the Inland Empire, Santa Barbara, Palm Springs and more. 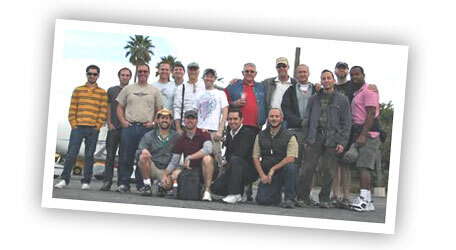 We organize social gatherings, monthly dinners and fly-ins, sometimes joining other clubs. Our event locations vary over the SoCal area, from Santa Barbara to the Mexico border, and east to Palm Springs and the nearby deserts, so it's likely we will be near you soon! To promote friendship, education, charitable outreach, safety through proficiency, and the enjoyment of flying and aviation for the LGBT community and the community at large through a variety of activities throughout the Southern California and adjacent areas.